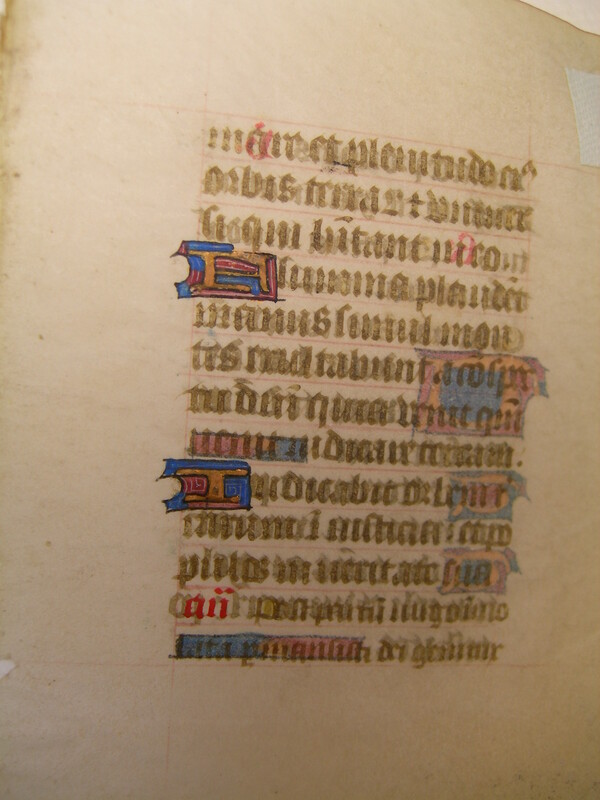 Text: Based on the leaves we have seen, this Book of Hours accords with the Use of Rome (see Leaf 36 in the Cleveland Public Library portfolio, which contains the "Dum Esset" antiphon). 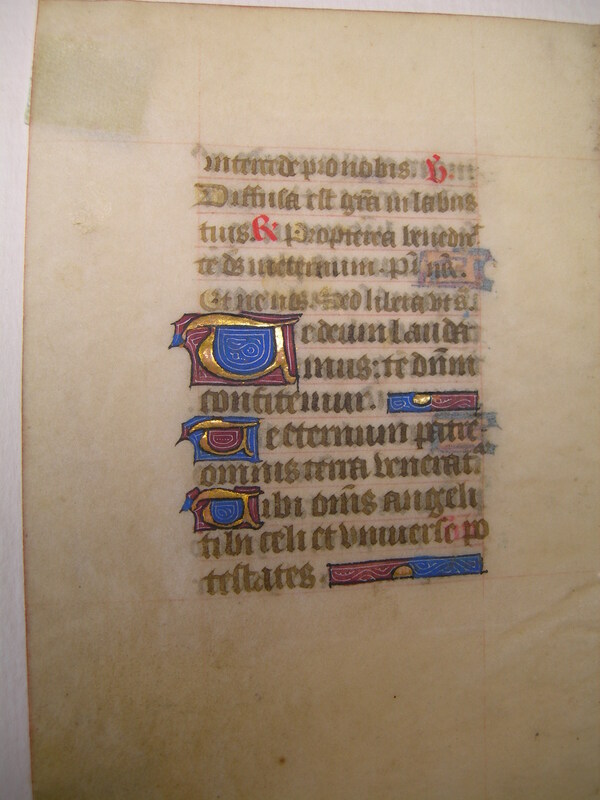 This leaf contains text from the Hours of the Virgin at Matins; specifically, the beginning of the Te Deum on the verso. Reconstruction Note! In Ege's original manuscript, this leaf was followed by what is now Leaf 36 in the Kent State University portfolio. mare, et plenitudo eius, orbis terrarum, et qui habitant in eo. Flumina plaudent manu, simul montes exultabunt a conspectu Domini: quoniam venit iudicare terram. intercede pro nobis. V: Diffusa est gratia in labiis tuis. R: Propterea benedixit te Deus in aeternum. Pater Noster. Et ne nos. Sed libera ut s.
...pray for us. V: Grace is poured out in thy lips. R: Therefore God hath blessed thee forever. Our Father. Lead us not into temptation. But deliver us from evil.